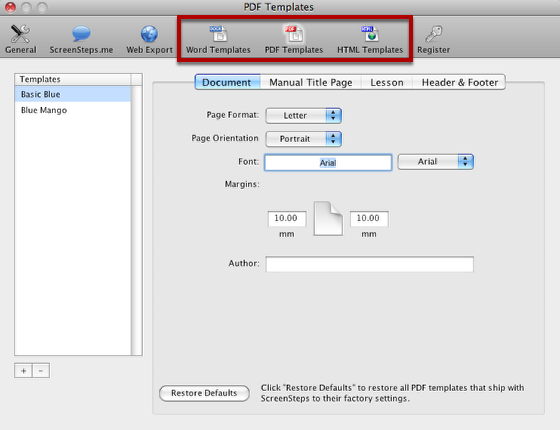 This lesson will teach you how to change or clear the default Word, HTML or PDF template. If a default template has been set it will be in bold. Right click on the template name and select Clear Default to clear the default template. Right click on a different template and select Set as Default to set a new default template. 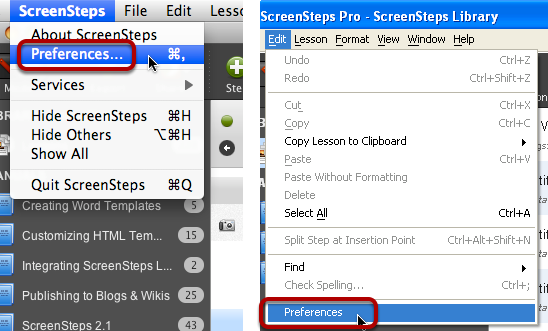 If you don't set any default template then you will see the template selector each time you export a lesson. 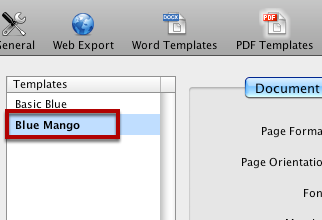 You can set a default template for Word, PDF and HTML exports. If you ever need to restore the default templates that come with ScreenSteps to their factory state then look for the Restore Defaults button at the bottom of the template preference pane.